People who are seeking to travel or live abroad would naturally have to deal with applying for a passport. For some people, this is a bit tedious but it should not be if you know exactly the way to go. The first step in knowing how to apply for a passport is in having a basic idea what exactly a passport is. A passport is an important document that will help verify your personal information, especially your nationality or citizenship. When travelling overseas, you will never be able to leave your home country without being issued with a passport. For those who are new to this thing, here is a helpful guideline along with some tips. * The process of applying for a passport may be different from country to country but it all boils down to getting in touch with a foreign affairs facility personally, filling out an application form, and bringing required documents. * You also need to bring with you a couple of requirements, which usually include passport size ID picture, valid identification cards with photo, and your birth certificate. * You may have to wait for a couple of weeks before you receive your passport prior to submitting all the requirements and a completed application form. You may opt to receive it earlier if you are willing to pay expedited service fees. 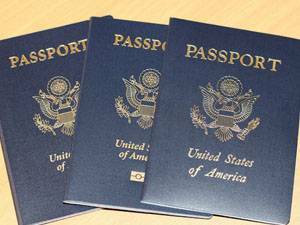 There are many reasons some people seek to get a second or even a third passport. The basic idea is all about giving up a citizenship and embracing a new one. There are expats who have decided to settle in another country and would want themselves free of a country that have unfavourable taxation laws. That’s why they seek to have a second passport. Some people also want to open bank accounts in another country by using a passport from that country. Some also wish to settle down in another country but find using the passport from their home country quite dangerous due to some circumstances. No matter what, using another passport apart from the one you got form your country of origin might be useful if you are an expat. You have to remember, however, that obtaining one is a step towards dropping your original citizenship altogether and embracing an expat’s life. The idea and principle of obtaining a passport may be a tricky business. It is important, therefore, that you understand practically everything about the matter before filling out an application form or running to a passport acceptance office. Establish your need for a passport and what kind of need is that to determine what kind of a travel document you will need exactly. Robin Evans the author of the “Applying For A Passport” is a London based travel writer who regularly gets featured at ExpatIntelligence.com.